JR Talks Brock Lesnar vs. Roman Reigns, Lesnar going back to UFC and more! 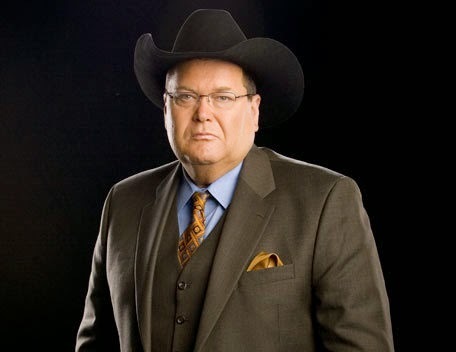 “Arguably the hottest issue that has been on my Twitter timeline @JRsBBQ is the contract status between WWE Champion Brock Lesnar and WWE. This matter is running into the 11th hour and one would have thought it would have been settled month ago just as I mentioned last summer on one of my Ross Report Podcasts. Now both sides are scrambling to finalize a deal in what could be a high stress and emotional negotiation which is exactly what neither party ever wants to experience. To WWE’s credit they have have been talking to Brock for months and he could have possibly simply been posturing to achieve what is happening now to occur. I have no idea of the circumstances surrounding this matter. I do know that Brock likely makes an enormous sum of money for essentially a part time job but I have no issue with that as Lesnar stays more ‘special’ because he is not over exposed which is seemingly the norm in the biz these days and another reason that the genre struggles at times with TV ratings and general perception”. 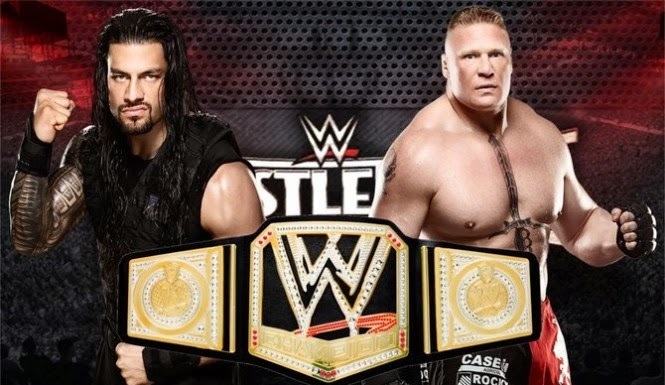 “If Lesnar re-signs with WWE there is no lock that he will lose the WWE Title at WM31 to Roman Reigns but I do applaud WWE for seemingly steering the course with their long term build of Reigns who has a viable upside and plenty of potential but is arguably not completely ready for the distinction of being the ‘man.’ However, when was any first time WWE Champion ever 100% ready to be the ‘man?’ If we analyze the past champions, all of who displayed the traits desired for the role, no one could guarantee their success until they got in the game and experienced the ‘live ammo’ that comes with that extremely challenging job and it’s many responsibilities”. “One thing is for sure and that’s both Reigns and Lesnar are former D1 athletes of distinction and both men will bring their legit, competitive athletic fire to the personation as to have a match that will make them both pleased with the effort and the results no matter who wins or loses. They are athletes first and entertainers second which tells me that they will have no major issues closing the show at WrestleMania in a positive way. I don’t see this match being fancy or a spot fest but I do feel that it will be physical and reality based”. “Some fans seemingly are in over thinking mode more concerned about who gets booed and who doesn’t than focusing on what the match will be like and the story that will be told inside the ring”. “I am somewhat optimistic that Brock will re-up with WWE but there are certainly no guarantees and I’d expect we won’t know that answer until after the event in Levis Stadium. Having said that, one cold argue that the main event is as unpredictable as it has been in quite some time of which I personally like. Many within WWE will breathe much easier if Brock puts pen to contract this Monday in LA at RAW”. “This week’s Ross Report podcast with the incomparable and outspoken @TheJimCornette is a classic. I hope that you will make the time to download it for FREE at iTunes. We over a litany of topics in this super sized show. Next week I welcome Ken Shamrock to the show and I had a great time catching up with Ken who still has that gladiator spirit when many athletes his age are content to simply be playing golf. His career in fighting, WWE, being a body guard to the stars and his interest in bare knuckle boxing is a fascinating listen. Plus we talk in depth about role in WM13 as the special referee in the Austin-Hitman classic”. “WWEShop.com has completely restocked with all the JR’s products that have been out of stock and sales are terrific of which we are grateful to all of you for supporting us”. ← Latest Photo of Lana on the set of WWE Studios Film, Interrogation!